The following article was written before news broke that Karen Lewis had been hospitalized with a serious medical condition. It has now been announced that she will not be able to pursue her campaign for mayor of Chicago. Socialist Alternative deeply regrets that Karen will not be able to mount a challenge to Rahm Emanuel in 2015, a race that showed enormous potential as a way for galvanizing working people against the neo-liberal, austerity agenda. We extend her our best wishes and hopes for a speedy recovery. 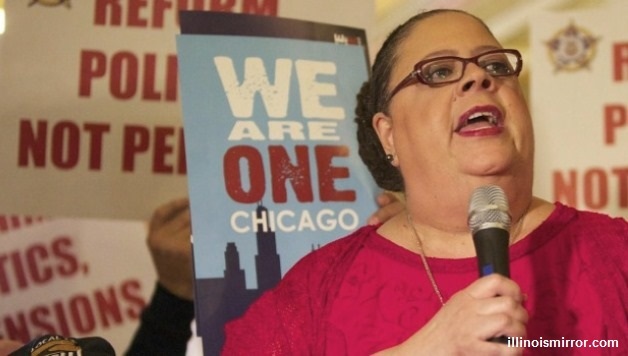 Karen Lewis, the president of the Chicago Teachers Union (CTU) who led an inspiring and popular strike in 2012, has taken the first steps toward running for mayor. Support in the polls indicates that this is an opportunity to bring workers’ struggle to the next level and build a grassroots campaign extending far beyond a single election. This chance has to be used, argues Tony Wilsdon. Karen Lewis’ run for mayor opens up the potential to inflict a defeat on the big business agenda in Chicago and to encourage others to move into struggle. Already, she is well known as a fighter for the working class and the poorest communities in the city. A poll published in the Chicago Sun-Times astonishingly put her ahead of Democratic Mayor Rahm Emanuel by 45% to 36%, with 18% undecided. The American Federation of Teachers pledged $1 million in support if she ran. 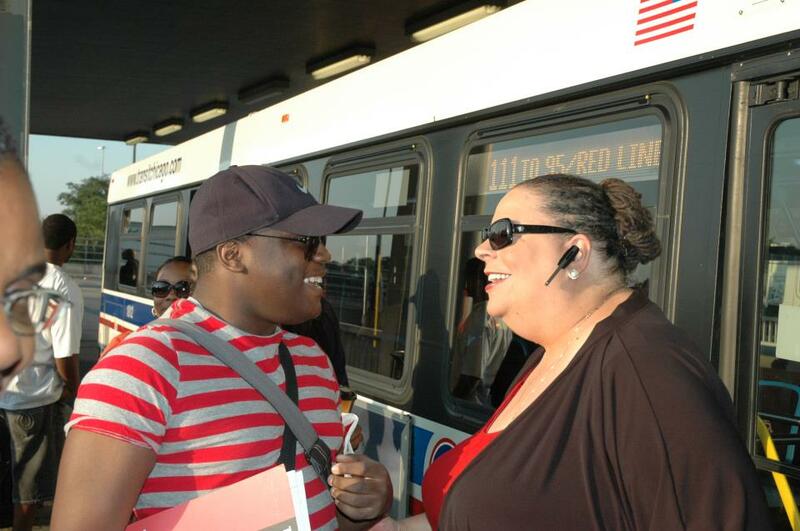 Karen Lewis won the presidency of CTU in 2010 as part of CORE, a left-wing rank-and-file insurgency group. Building on extensive and effective campaigning against school closings, the 2012 strike rallied working class parents behind the power of the union, especially in poor black and Latino neighborhoods. However, since the strike Emanuel’s hand-picked Board of Education has closed more 50 schools. In declaring her candidacy for mayor, Lewis registered as “non-partisan.” While it’s a promising step that she did not directly associate herself with the Democratic Party, the CTU has an ambiguous position on the Democrats. In January 2014, CTU passed a resolution calling for candidates “capable of leading strong electoral and legislative campaigns to benefit working families.” Yet just recently it endorsed the re-election of Democratic Governor Pat Quinn, who has been leading the attack on public sector workers’ pensions. Imagine the potential to build a voice for the 99% if labor stopped throwing billions at the big business Democrats and used its resources – activists, networks, workplace roots and money – to build, together with community organizations and left activists, a new party for working people. The CTU can set the example and follow that route in a principled way. While it’s clear that Karen Lewis will be able to mobilize broad support among the working class, poor people and communities of color, Socialist Alternative urges Karen Lewis to go further and use this support to build a really powerful movement of the 99%. The only way to really inflict defeats on the corporate agenda is to build a powerful movement of the working class, which is separate not only from reactionary Republicans but also from big business Democrats. She needs to expose the Democratic Party’s record in Chicago as a corporate party committed to the agenda of the elite 1%. Lewis will need to put forward bold demands that speak to the real needs of working people and the poor in Chicago: a $15 per hour minimum wage and reversing the cuts in education and social programs. This can outline a program that is prepared not to accept the limits of capitalism in crisis but, instead, to point toward the struggle for a socialist change. For example, it was only the creation of an independent campaign by 15 Now in Seattle that forced the political establishment to concede a $15 an hour minimum wage in June. The strength of 15 Now came out of the momentum created by the success of Kshama Sawant’s independent socialist campaign for city council in 2013. In order to be successful, Lewis’ campaign has to build a powerful force on the ground. Action groups for Lewis need to be built in local communities, labor unions, and on college campuses. These groups can provide a powerful community base for her campaign. Supporter groups can organize activities, help develop the platform, raise money and develop strategies to take the campaign forward. They can also play a crucial role combating the inevitable counteroffensive of the powerful Democratic Party machine. The ability of the campaign to mobilize working class people will be crucial to winning. It can also provide the basis of a fighting organization for working people after the election. Despite her best intentions, if this campaign looks like it can win, Karen Lewis will be confronted by huge pressure from the establishment and big business. Unless there is a powerful base of supporters to combat this pressure, it’s more likely that Lewis would either be defeated or else would be sucked into the established networks and structures serving Chicago’s elites. The danger exists that this campaign could be channeled into yet another fruitless attempt to push the Democratic Party to the left. This would leave angry and alienated workers and youth without a political alternative to the Democratic Party’s corporate machine. To build a new force, independent of big business and the establishment, Lewis should reject any corporate donations and rely on the power of a grassroots campaign as her base of support. Mainstream Democrats like Obama are proving incapable of inspiring support at a time when the country is moving to the left. The space opening up for Lewis’ campaign is part of a growing trend toward left populism and challenges to the neoliberal agenda. The search for an alternative on the left was shown in recent electoral victories by Socialist Alternative’s Kshama Sawant in Seattle and – in a complicated, more distorted way – populist Democrat Bill de Blasio in New York City. While Democratic Party figures like Elizabeth Warren voice criticisms of the agenda of the 1%, they don’t offer an independent alternative to big business. There are enormous possibilities now present for the left to build at the local level a viable working-class challenge to the two party system, as a step toward building a new political party for working people. In this regard, Karen Lewis has the potential to help write history, and not only in Chicago. Let’s push things forward to make it happen – not only at the ballot box but, more importantly, with organizing in the neighborhoods, campuses and workplaces. Next articleAll Out to Ferguson’s Coming “Weekend of Resistance” — Oct. 10-13!